GE GFDR485EFMC 8.3 Cu. 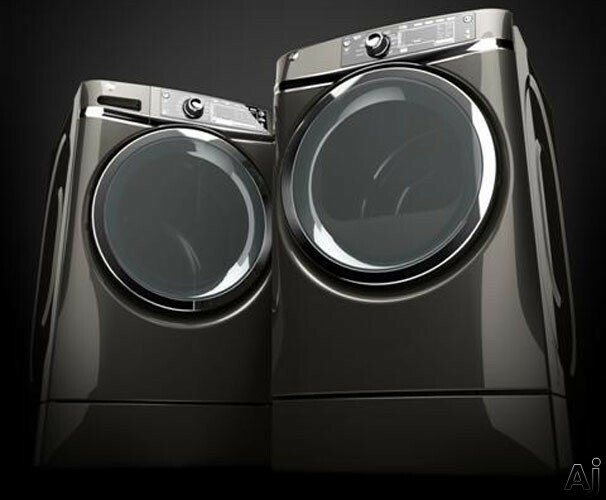 Ft.
GE appliances simplify routines, define trends and answer real-life answers; not to mention they also upgrade the feel and look of your living space. 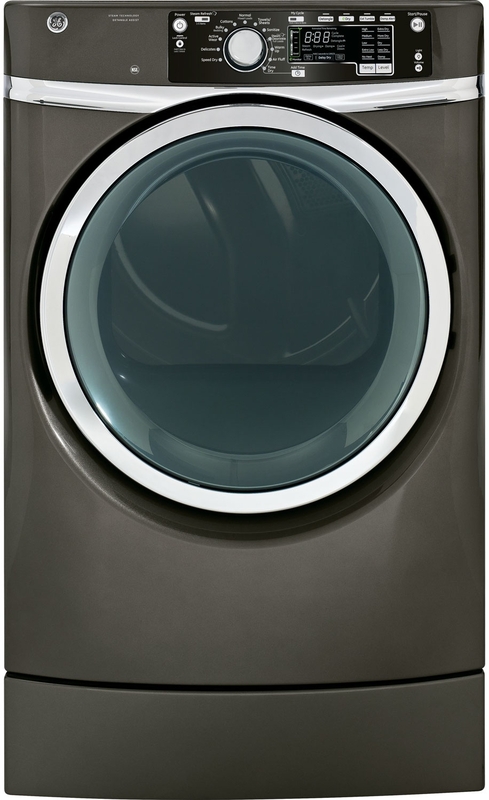 The GE GFDR485EFMC is a dryer known for its long-lasting durability features. The HE SensorDry with dual thermistors monitors temperature and moisture to prevent wear and tear of clothing due to inconsistent heat and over-drying. Twisted comforters and sheets now belong to the past, as the Detangle Assist of this dryer pauses and reverses direction in order to reduce wrinkles and separate items. Weight: Net Weight: 173 lbs. ; Approximate Shipping Weight: 188 lbs. Capacity (cu.ft. ): 8.3. cu. ft. He Sensor Dry keeps your clothes feeling and looking their best thanks to the dual thermistors that monitor temperature and moisture to prevent wear and tear of clothing due to inconsistent heat and over-drying. Built-in Riser comfortably loads and unloads clothes and also uses the top as a folding surface with this factory-installed built-in riser. Stainless Steel Drum helps protect clothing. Detangle Assist – as mentioned in the intro, it pauses and reverses direction in order to reduce wrinkles and separate items, which means you can say goodbye to twisted comforters and sheets. LED Light – thanks to the bright, long-lasting and energy-efficient LED light, you can now find the mysterious socks. 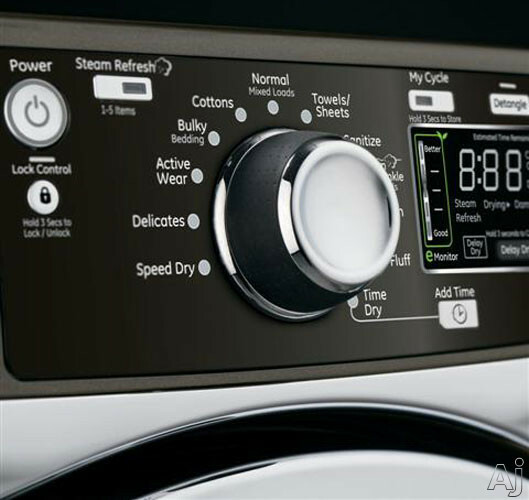 Steam Refresh rejuvenates lightly worn garments by getting rid of odors and wrinkles with the steam refresh setting. Steam Dewrinkle is a powerful setting that uses steam for refreshing and drying loads of any size, so your clothes will be wrinkle-free. I couldn’t find a video related to this appliance. Comes with a stylish design. Optional Dryer Rack Accessory is included. 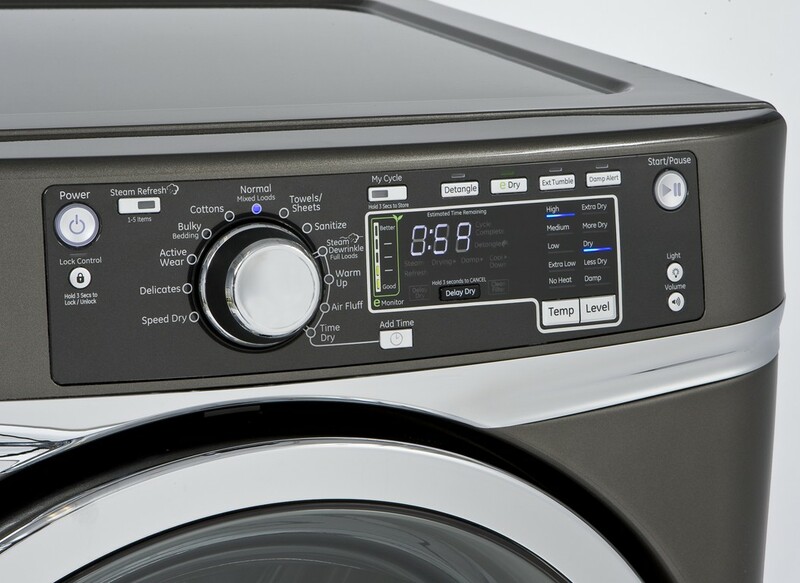 LED Indicators and LED Cycle Countdown makes this dryer very convenient. Has Delay Start Option – Up to 24 hours. Flexible Installation – Undercounter, Built-in, Side-by-Side. Has a large capacity, meaning you can just toss large loads of clothes. The need for ironing is eliminated thanks to the Steam Refresh and Steam Dewrinkle. Lint screen is hard to clean. Through innovation and ingenuity, these next-generation features and options are solving real-life needs. 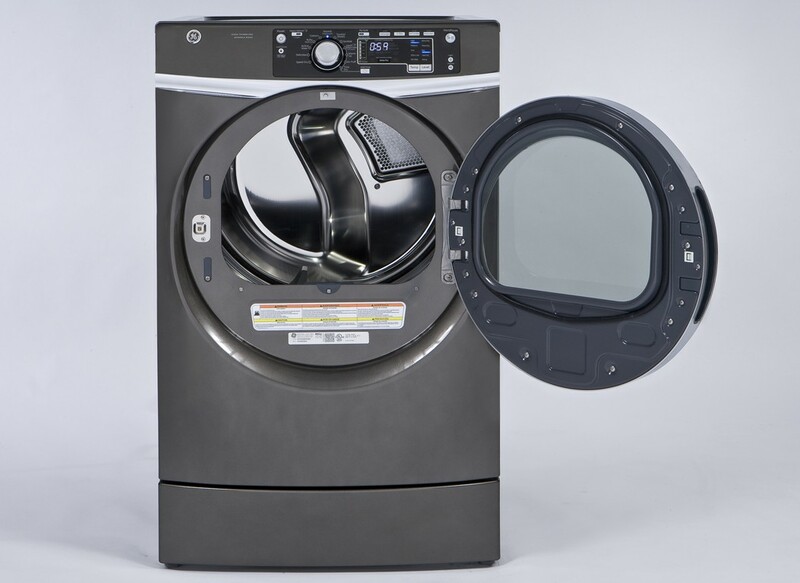 GE GFDR485EFMC syncs perfectly with today’s modern lifestyle. 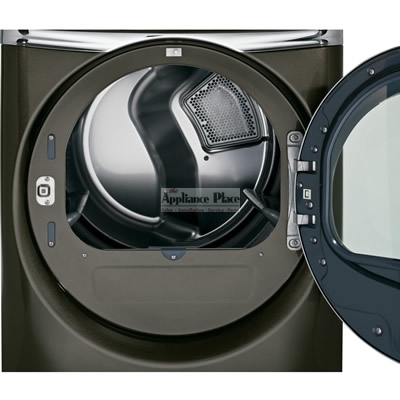 The features, dry cycles, drying options, specifications and design are the main reasons why this dryer is in our Top 10. All in all, with this dryer, you’ll enjoy folding laundry because your clothes will come out less wrinkled and amazingly fresh. Drying times are fast and the options are great. However, don’t forget to consider its minor cons before making the final buying decision.